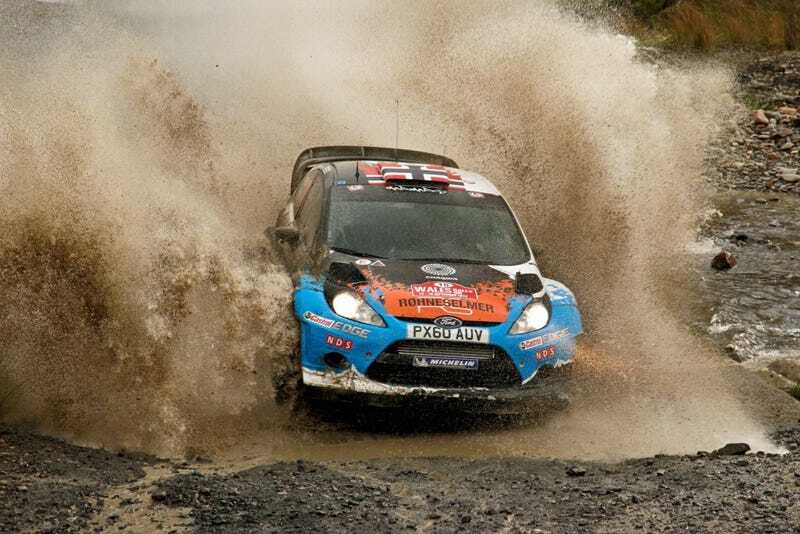 The last round of the WRC championship has begun today with qualifying. The interesting battle would be the battle for 2nd place in the drivers championship, with Thiery Neuville (Ford), Jari-Matti Latvala (VW) and theoretically Mikko Hirvonen (Citroen) in contention. Also Ex-F1 driver Robert Kubica (Citroen) would make his debut in a WRC car after winning the WRC2 championship in his first full year of rallying. Only Neuville came close to Ogier's time. With Neuville confirmed as a Hyundai driver for 2014 things might get interesting next season. Kubica could keep up more or less with his Citroen colleagues and was even faster than Rally Germany winner Dani Sordo.